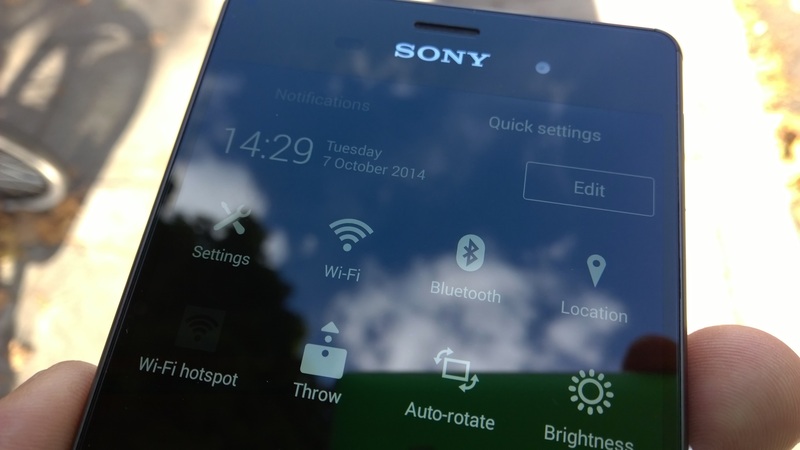 The Sony Xperia Z3 has a lot of promise to live up to. It’s predecessor, the cunningly named Z2, performed admirably in most departments, even if its slightly slab-like design left it feeling a little uncomfortable in your hands. This time around it offers a slightly better equipped camera and a few other minor hardware upgrades, but do these mostly minor tweaks still deliver a stellar user experience? 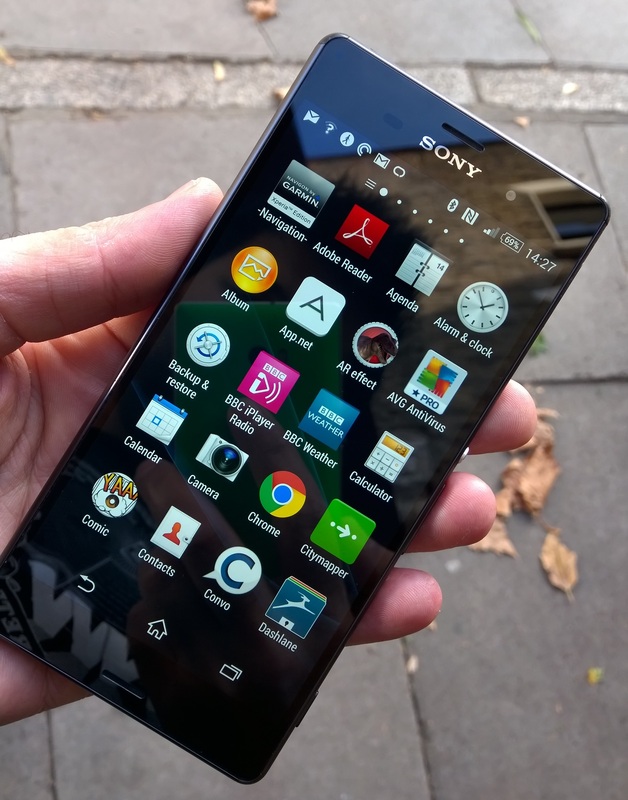 We’ve been testing the Xperia Z3 for a few days to find out. 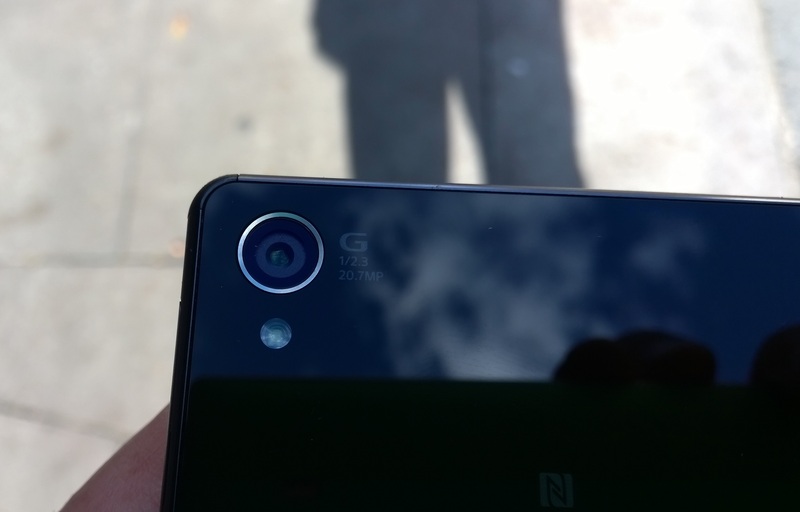 With the new Samsung Galaxy Note 4 and two new iPhones on the market, Sony isn’t going to get an easy, clear shot with the Xperia Z3. In fact, just like Apple’s iPhone 6 and 6 Plus, there are two size options available in the range – so if you’re considering the 4.6-inch Xperia Z3 Compact instead, then we have another review for you. And Sony has another direct contender on the market. While the Z3 undeniably looks just like the Z2, a closer inspection reveals it’s actually a little bit smaller, thinner and lighter. In fact, it’s a full 11 grams lighter (152 grams), which is impressive considering it has the same size 5.2-inch 1080p HD display as its predecessor. It might only be a quarter of a Hershey Bar’s difference in weight, but you can feel it. Where the predecessor was criticized for being a little bit too heavy on the generic square stylings, the Z3 has tried to temper these somewhat by adding rounded corners and edging. It’s mostly worked too, but because Sony has been so successful in keeping the handset slim (7.3mm) and with its 5.2-inch display, I actually found it difficult to hold on to – or more specifically, easy to drop. It still feels smooth and slick – and just a little bit square – in the hand. On the right side, you’ll find the power switch with a volume rocker directly below it. I’d have preferred the volume rocker above the power switch, but it’s hardly a deal breaker and really just personal taste. Instead, where the volume rocker should be above the power button, is the flap covering the microSD card and SIM slot. Note: If you’re upgrading from an older generation of devices, the Z3 requires a nano SIM. On the top of the device is the headphone port, and on the left side is the flap covering the micro SD charging port and a properietary connector for things like Sony’s GCM10 Game Control Mount. Unfortunately, I don’t have one of these to test it with, or a PS4, so I can’t attest to its performance – but it does offer Remote Play capabilities if you do have one. On the glass-like black back (it’s actually polished plastic, which you’ll be thankful for when you inevitably drop it), you’ll find a 20.7-megapixel camera with its Exmor RS 1/2.3 sensor and f2.0 lens. Essentially, this results in a wider frame for the image, allowing you to get more action in your pictures. It also has an ISO range up to 12800 in a bid to improve low-light performance. Keeping (mostly) the same display as the original Z2 is no bad thing. 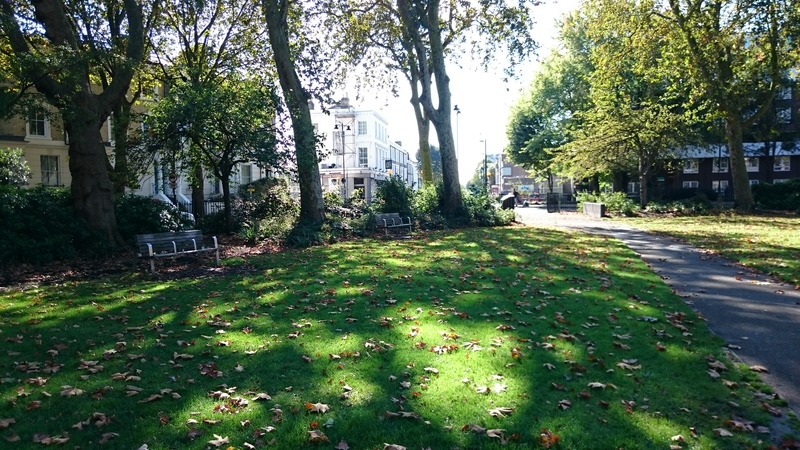 It’s crisp, sharp and critically this time around, bright – easily bright enough to be visible in direct sunlight outside, which was a complaint of the Z2. Sony said it decided to stick with a Full HD resolution rather than a 2K display to spare the battery life (more on that below), and it’s not a decision you’ll find yourself worrying about. 1080p on a 5.2-inch display is certainly good enough, and the colors didn’t appear over-saturated, as can sometimes be the case with an OLED display. If you want to change the vibrancy, there are a couple of options buried in the display settings under X-Reality. There’s also an option to switch on ‘glove mode’ there. The 2.5GHz quad-core chipset and 3GB of RAM powering the device has no trouble keeping pace, and I didn’t see any delay in opening or switching between applications, even with quite a few open at once or while multitasking. It was the same on the gaming front too – Asphalt 8: Airborne was as smooth as ever. As mentioned previously, the potential for interplay with a PS4 and other peripherals gives the possibility of transforming the Z3 into far more of a bona fide gaming device than most other smartphones. As an occasional gamer, I do plan on buying a PlayStation 4 soon and the Remote Play option is one that provides quite a lure for gamers on the lookout for a new phone. Obviously, I’m not a ‘real’ gamer or I’d have bought a new console already. Given that it’s waterproof and dust resistant, it was slightly disappointing when I took it in the shower while listening to a podcast only to have the speakers immediately go too quiet to hear when some water splashed in – the jet wasn’t even aimed at it, just simply a splash. That said, it is indeed waterproof as long as you keep the SIM and charging covers firmly closed. Drop them in a bowl of water with those open and it’s game over, Z3. While it didn’t fare so well in the shower, the waterproofing does help when out-and-about and the inevitable downpour arrives – the screen actually retains quite a high degree of usablility (ie. 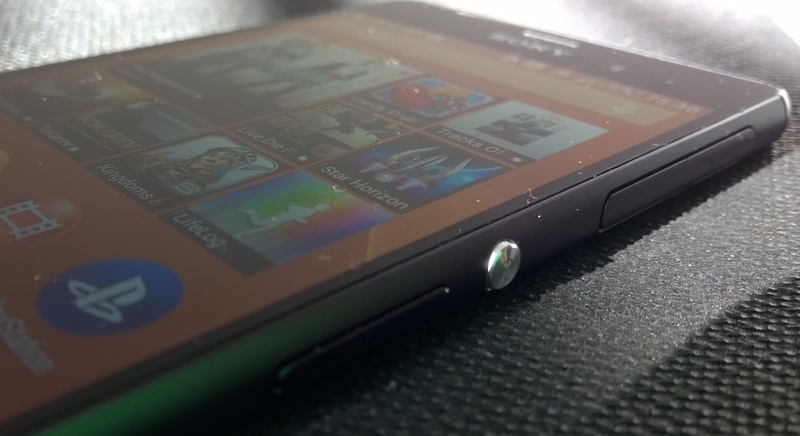 presses are mostly recognized correctly) even when it has water on it, which can’t be said for a majority of phones. The waterproofing could also come in handy if you’re prone to spilling drinks on your handset. I’ve lost at least one that way. When not submerged or otherwise hampered by water, the dual front-facing speakers do an admirable job – far better than the single speaker on its predecessor the original Xperia Z – of keeping the music or podcasts flowing. They’re not quite as good as those found on the HTC M8, but they’re far better than the average phone speakers. Under the bonnet, the Z3 runs Android 4.4 with a few sparse Sony tweaks thrown in here and there, which is mostly a good thing. That’s not to say that the services are necessarily good – many feel superfluous to my needs and no matter how hard it tries, I’m just not that interested in Sony’s Music or Video Unlimited offerings, and the on board Walkman app didn’t really help me much, given that most of my music is streamed. 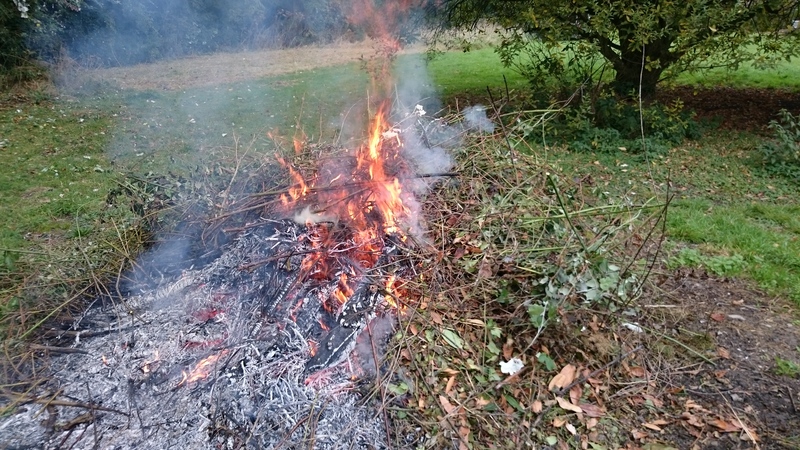 However, as I said, they’re mostly sparse and ignorable – if not actually removable. 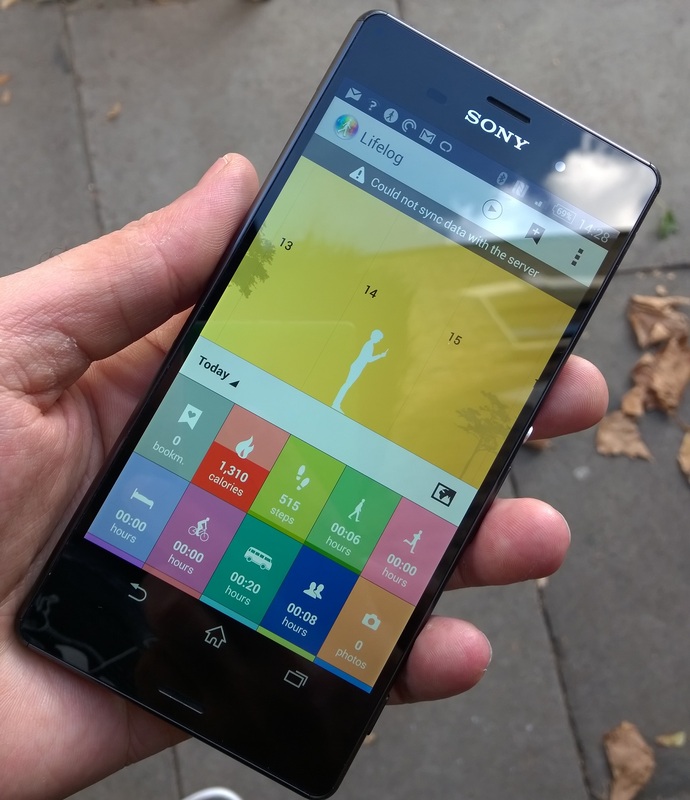 One of the more useful options is the Sony Lifelog app, which brings together all the activity on your phone (browsing time, listening to music, etc) into central repository, along with your travel, exercise and more. It’s clearly still a bit of a work in progress and there’s no support for things like importing data from your UP 24 band instead of using the Lifelog pedometer, but I do like the central dashboard of all activity and the ability to get daily, weekly or monthly averages of how you spend your time. Coming from an LG G3, I missed the IR sensor for controlling the TV, but the Z3 does offer another of the LG’s features – double tap to wake, buried in the settings menu. 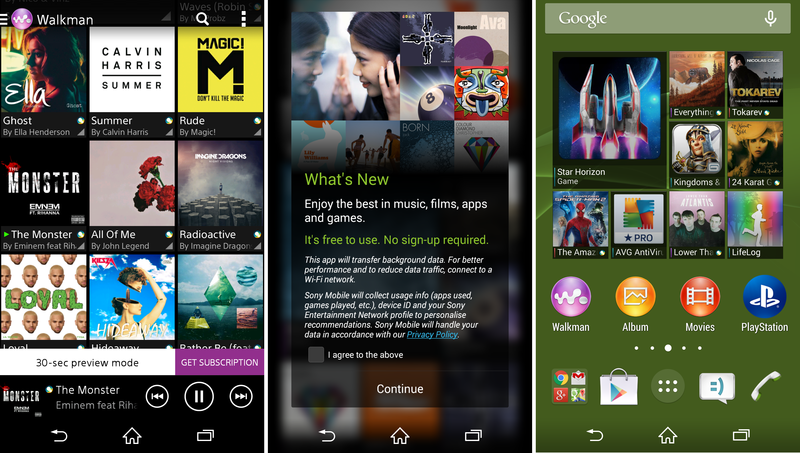 Sony has also chosen to implement another of Android 4.4’s possibilities – screen video capture. I don’t use it every day, but it’s certainly nice to have the option – you can also choose to have the image from the front-facing camera overlay the screen too. 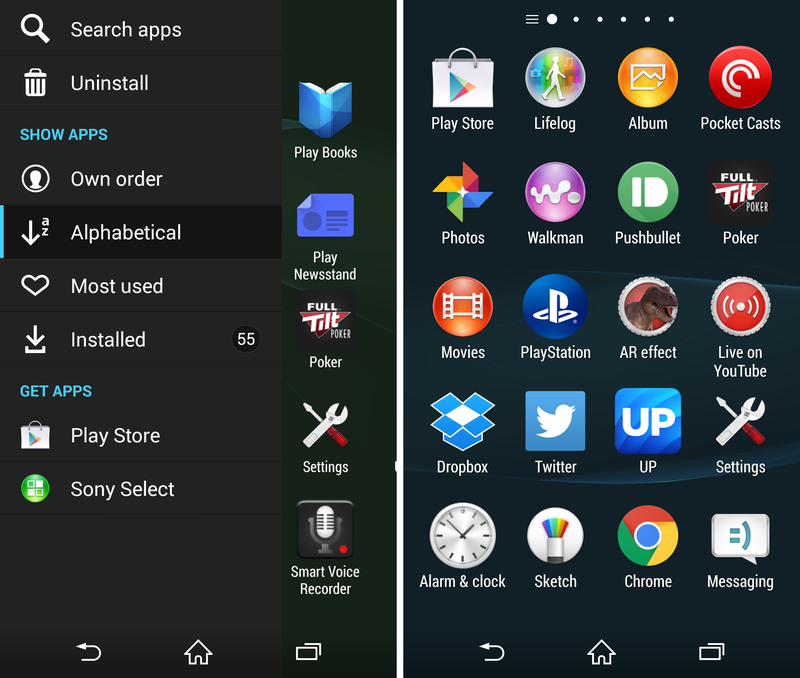 One truly useful twist on the stock Android UI is the side draw approach to organizing apps. Swiping in from the left side of the screen while looking at the standard app drawer presents the options to view them by your own custom order, alphabetically, most used or just user-installed. There are also links at the bottom of this list to jump straight to the Sony Select theme/games/app store and to Google Play. At the top of the screen, accessed via the pull down notification bar are a selection of quick settings – as with most other operator tweaked versions here, you can set these up to include any shortcuts you like. In many ways, the Z3 only offers an iterative upgrade for Z2 owners, but with a slightly different camera arrangement and the promise of longer battery life. 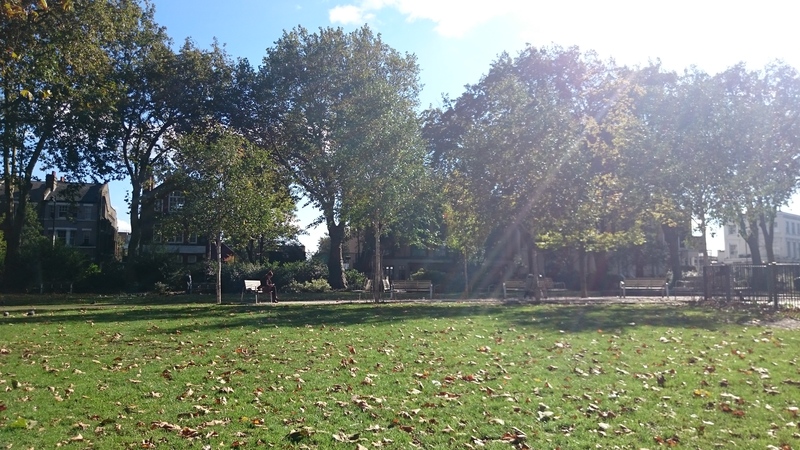 The f2.0 lens does allow you to get more of a scene in shot, but I still couldn’t say the overall image is as high quality – or reliable – as something like a Lumia 930. It is however, easily good enough to give the G3 a run for its money and it’s far better than the M8 for me. As well as providing a solid camera, Sony has made it quick and easy to switch between different camera modes with just a few taps. There are a whole bunch of defaults to choose from, including photos with audio, 4K video recording, a Frontback-like option, Info-eye (which presents local info) and a host more. A few test shots below, all of which were taken with standard settings on auto with no filters. On the battery side of things, Sony has included a 3,100 mAh pack, which is actually slightly smaller than on the Z2. Nonetheless, it promises a better than average experience. In my own testing, this translated to a 30 percent battery burn while watching Netflix for an hour and a half with the screen and volume on maximum. That’s certainly not bad, and if you do less demanding things, like listen to music or podcasts with the screen switched off, then you’ll obviously get a lot longer. On the whole, it does seem to drain more slowly than some of its rivals, but not in a way that would see me through two days of regular use when using Bluetooth headphones, tethering as a wireless hotspot and watching/listening/browsing freely. That said, not having to worry about running out of battery because you watched Netflix for 30 minutes on the way to work (on the bus, of course, not driving) isn’t to be sniffed at either. To further enhance your battery life you can employ one of Sony’s custom power modes, which variably switch off different functionality (like automatic updating, bluetooth, Wi-Fi etc) to save you power. The most extreme mode pretty much just lets you use your phone for calls and texts. Just like in the olden days. On reflection, the Z3 is easily among the front-running Android flagship handsets and is a strong contender for anything else on the market right now. Admittedly, I did find the handset a little slippery to hold and the lack of an IR blaster was a minor disappointment, but these quibbles pale in comparison to what is on offer – a snappy, well designed, fully waterproof Android powerhouse with a reliable, if not amazing camera. It also handles audio well, provides additional potential for gamers and ties in Sony’s services for anyone that’s interested. It’s this last point that probably proves the Z3’s weakest – the pre-installed services don’t add all that much, and there’s no option to remove some of them. Continually trying to sell me things from the Sony stores if I’m not interested isn’t likely to suddenly change my mind. But as I said before, these are largely ignorable, which leaves a handset without any real major flaws that I know of yet. 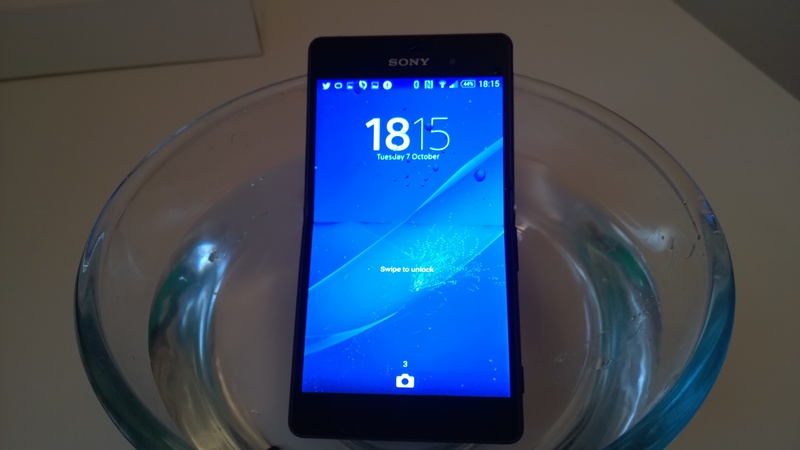 The Xperia Z2 was a fine phone, and the Z3 betters that experience by providing small upgrades in just the right places. With a nearly clean sheet, complaining about it being ‘a bit too slippery’ or ‘a bit too thin’ just feels churlish. The Xperia Z3 is available to buy now from Amazon priced at £472 (correct at time of publication, $760 converted) and is available on a range of UK networks.